outside the “Martian” vehicle under the scorching heat, in totality. although they demand your sweat, thirst, and sometimes bruised bodies. 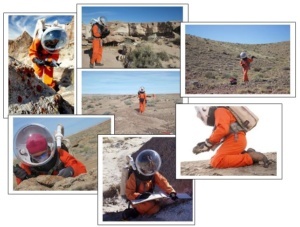 Kudos to these “Martian” explorers! Many more EVAs to come! Figure: MARS 160 – Seven Analog Astronauts During EVAs!